Zhou was convicted of taking bribes worth 130 million RMB ($21.3 million). His wife and son (both of whom testified in the trial) admitted to taking another 129 million RMB ($20.8 million) in bribes, and Zhou accepted “main responsibility” for their actions as well. Zhou also worked with colleagues to “assist in the business activities of others,” including Zhou’s eldest son. Those actions resulted in “economic losses” of 1.49 billion RMB ($240 million). As for disclosing state secrets, he was convicted of leaking “five ‘extremely confidential’ documents and one ‘confidential’ document” to Cao Yongzheng, an entrepreneur who first became famous as a fortune-telling master of qigong, a Chinese discipline that involves meditation, deep breathing, and slow, smooth movements (similar to tai chi). Cao later founded an energy company that won valuable contracts from China National Petroleum Corporation, where Zhou established a major patronage network during his time as CNPC chief. Cao himself is also under investigation for corruption. Identifying Cao as the recipient of the leaked state secrets implies they were business-related, rather than involving the more juicy rumors that Zhou (along with Bo Xilai) was actively plotting against Xi Jinping. According to Chinese media reports, Zhou pled guilty and will not appeal. In fact, Zhou as quoted in the media had nothing but high praise for the process that landed him life in prison. “I broke the law and Party rules incessantly, and the objective facts of my crimes have resulted in grave losses of the Party and the nation… The handling of my case in accordance with Party rules and the law reflects the authorities’ determination to govern the Party strictly and advance the rule of law,” Xinhua quoted Zhou as saying. 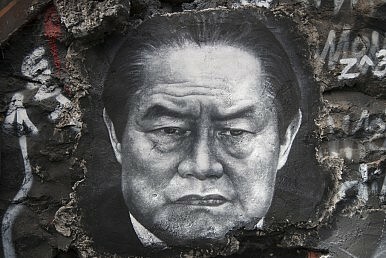 The Tianjin court that handled the case cited Zhou’s guilty plea and his remorse as reason for sentencing him to life in prison rather than death. The court also said that “all gifts and cash” accepted by Zhou and his family as bribes “have now been recovered.” Plus, the court concluded that Zhou’s leaking of state secrets “did not have very serious consequences.” The nature of the sentencing makes it clear that the bribes were Zhou’s most serious crime – accepting bribes earned Zhou life in prison, while the separate charges of “abuse of power” and “disclosing state secrets” only earned him seven and four years in prison, respectively. Zhou’s sentencing is a win for President Xi Jinping’s anti-corruption campaign, but the circumstances of his trial go against Xi’s repeated emphasis on “rule of law” in China. When Bo Xilai, the former Party chief of Chongqing and allegedly a Zhou ally, was sentenced to life in prison in September 2013, it came after a public trial that was heavily covered by Chinese media. State media outlets trumpeted the unprecedented openness surrounding the trial as proof of China’s “rule of law” and a win for government transparency.